It’s no secret at work that LEGO is my “thing.” Redecorating your coworker’s office while they’re away is also a long-standing tradition. I arrived back from a two-week absence recently to find printouts of Legokinsfolk’s Hello Kitty plastering my office. Ha ha, very funny! The Brickshelf gallery has lots more photos, including shots of how Kuromi’s made. 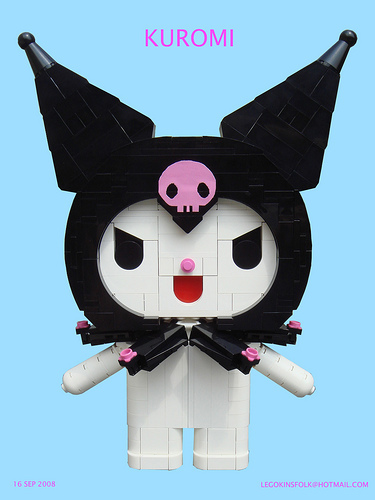 For more LEGO Kuromi cuteness, there’s always Toshiya’s version.